This guide will help you install SM Listing Tabs step by step. 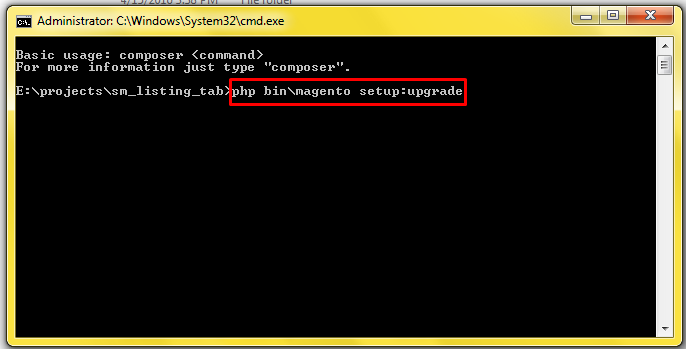 Compatible with Magento Community Edition 2.0.x: Please follow Magento 2.0 Installation Guide to install if you do not have one. 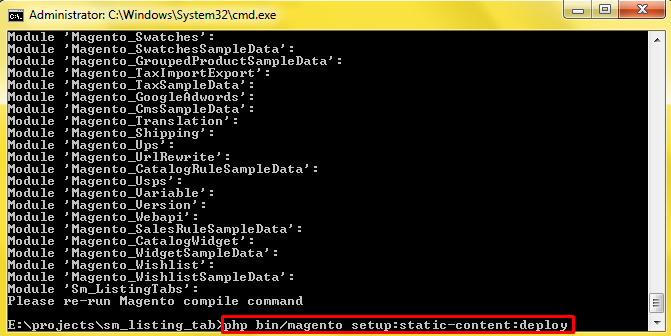 After installing, go to Stores -> Settings -> Configuration and find SM Listing Tabs to configure. Class Suffix – Allow uses to add suffix for class. 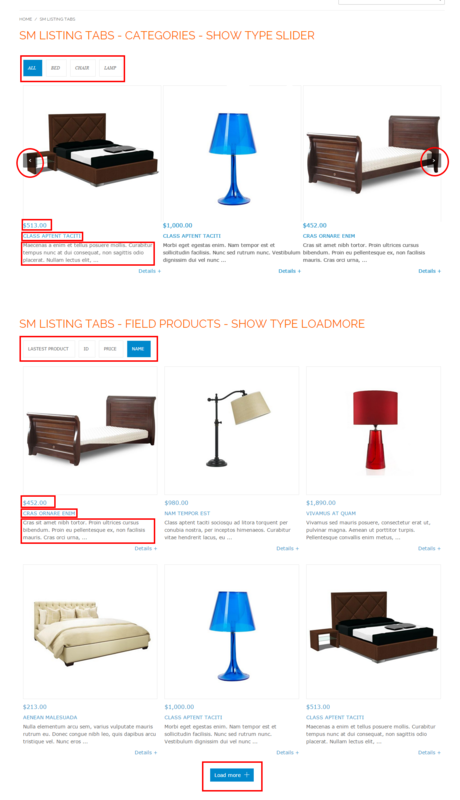 Show Type Loadmore Or Slider – to load more product in tab. Filter Type – Allow you to Type of Filter. Category Preload – Allow to preload category. 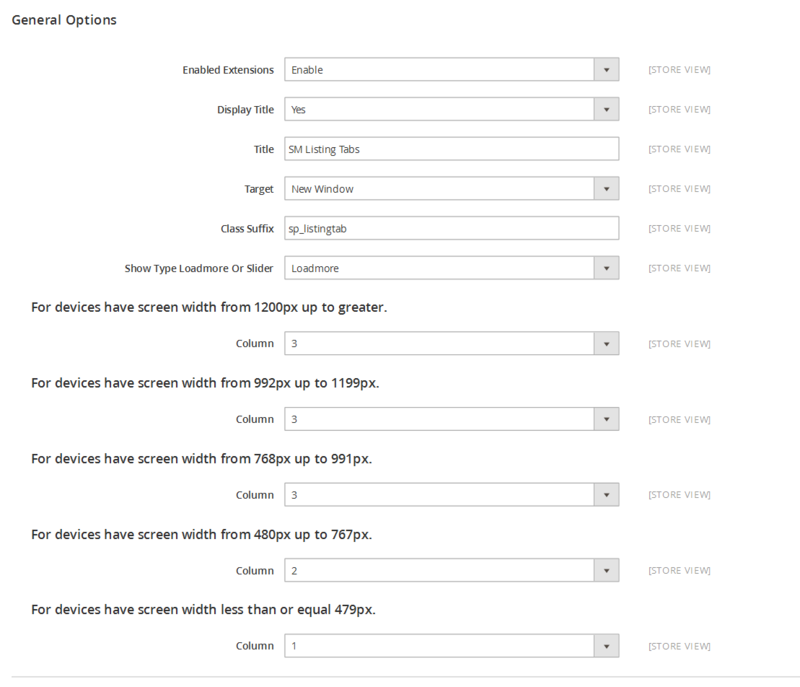 Tab All Display – Allow you display all tabs or NOT. 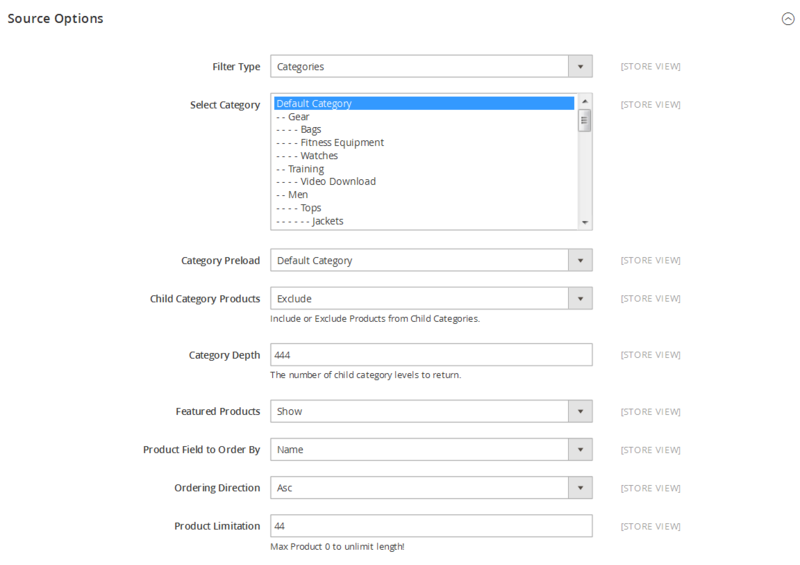 Category title max length – Allow to set the max length of title. Categories Order By – Set Categories Order By: Name/Position/Random. Categories Ordering Direction – Allow to order ASC(ascending)/ DESC(descending) direction. Display Icon – Allow to display icon or NOT. Order to Get – Allow to order to get image with options such as category_image, category_thumbnail, category_description. 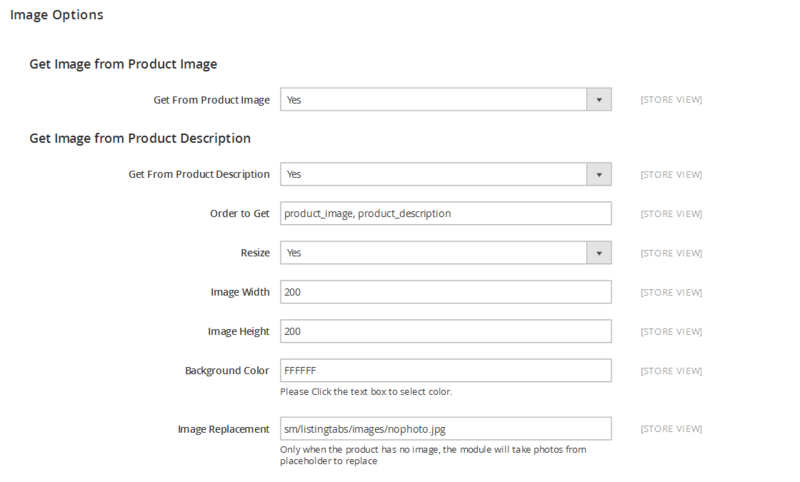 Get Image from Product Image – Allow to display image of product or NOT. 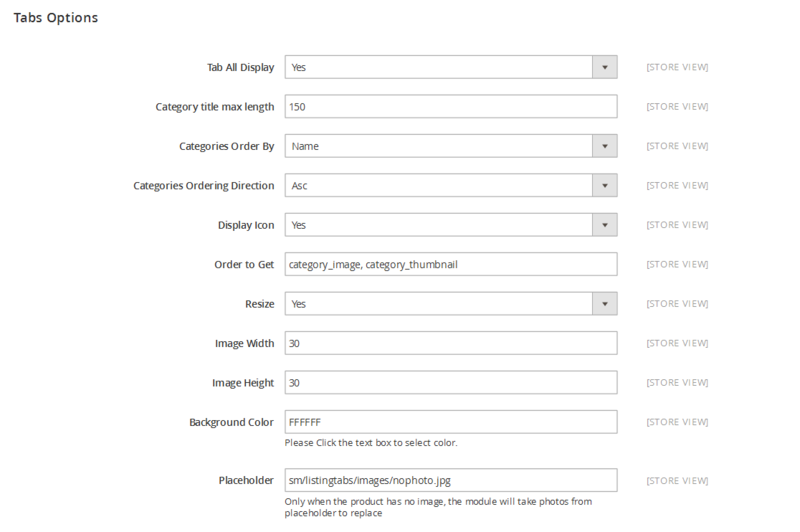 Resize – Allow you resize product image or NOT. Display Navigation – Allow to Display Navigation OR Not. Display Loop – Allow to Display to Loop OR Not. Margin Item – Allow to set margin of the image. 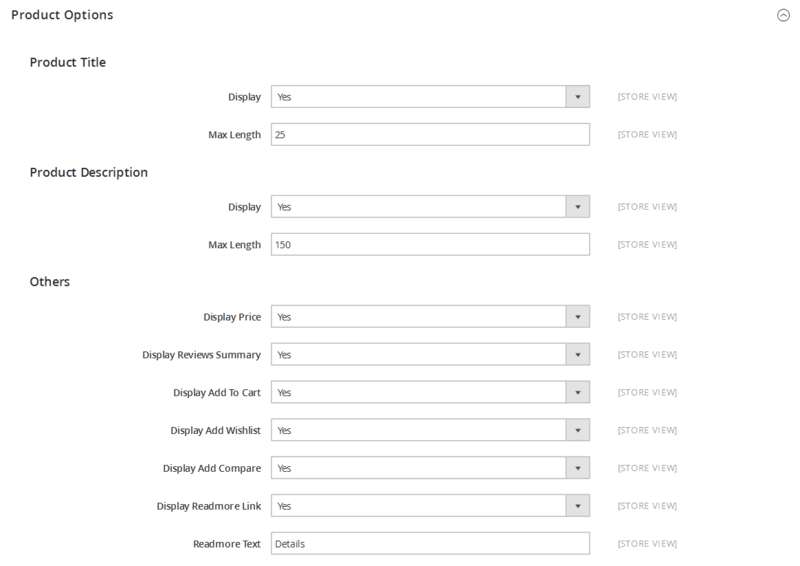 Slide By – Allow to choose the number of products displayed when clicking “Next” button. Navigation Speed: Allow to set the speed of Navigation. Start Position Item: Allow to choose the first item by position number. 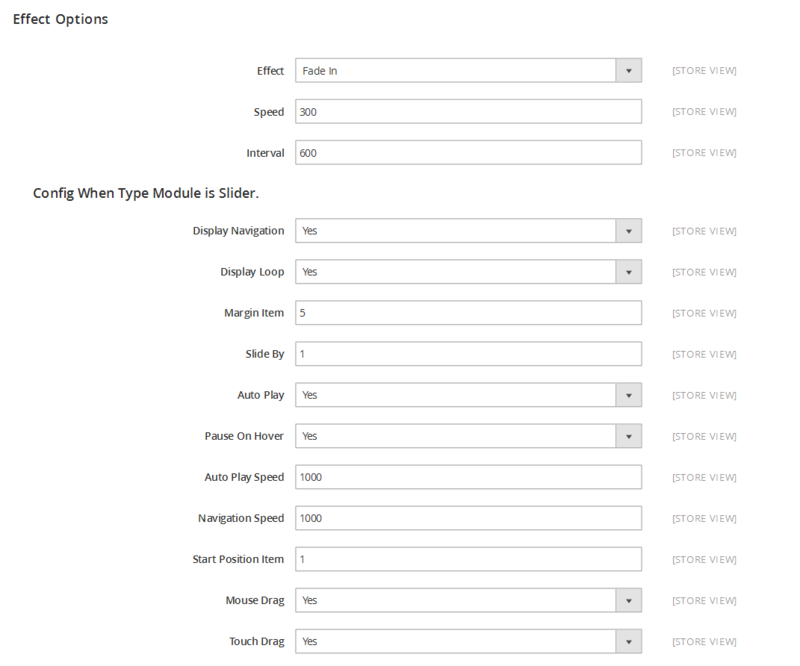 Caching – Allow to choose to cache the content of module. Cache Time – Allow to choose the time (in seconds) before the module is recached.